There is no way you can miss this structure when you drive into Melbourne from the west. It dominates the skyline. The night time view is spectacular as all the spokes and the wheel itself is lit up. The giant observation wheel situated in the Waterfront City precinct in the Docklands in the Docklands area of Melbourne, the state capital of Victoria, Australia, is an incredible visual attraction for the city. Seen from miles around this is a 40 storey high solid steel structure that provides the user a 360 degree view high above the city and surrounding areas. From Port Phillip Bay and down to the peninsular, over to the You Yangs and out to Mt. Macedon then around to the Dandenong Mountains, the Melbourne giant Observation Wheel offers a truly unique experience for locals and tourists alike. Known to be the largest solid steel construction in the world, the observation wheel has to be truly an engineering wonder. The construction is a one-of-its-kind in the world being a seven pointed star design. This design signifies the seven stars on the Australian flag. One complete rotation takes 30 minutes providing uninterrupted 360 degree views of up to 40 kilometres. The weight of each cabin is 13 tons and is encased with floor to ceiling glass walls. Each cabin can accommodate up to 20 passengers and because the cabins are self-stabilizing this allows the passengers to stand and move about freely. The cabins are air conditioned for comfort and an audio commentary gives the passenger a brief introduction to the history and significance of the landmarks below. For those who would prefer to sit as they ride there is a central bench in the cabin to do so. Personally I'm afraid of heights so this was quite comforting for me and my wobbly legs. 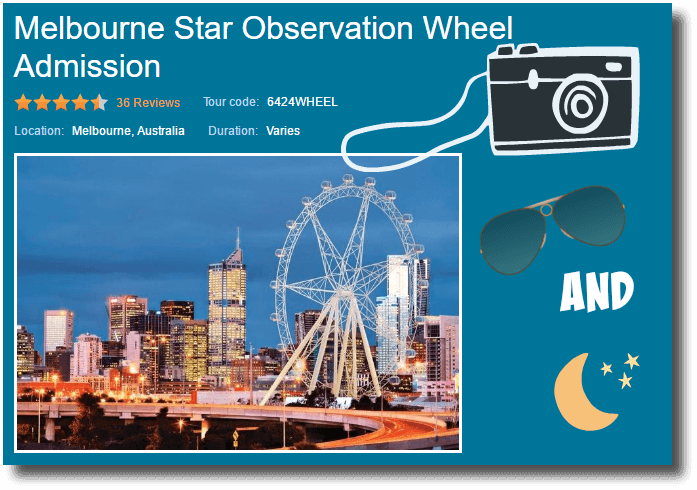 Click onto the map and then on the Directions prompt, for exact directions on how to drive to the Melbourne Star. Parking is available at Pearl River Road West Car Park and Waterfront Way East Car Park. A daily fee applies. If coming into the city by rail catch the train to Southern Cross Station and walk across the Bourke Street pedestrian bridge to Harbour Esplanade. Follow the Promenade to Harbour Town Shopping Centre. For visitors from Regional Victoria, please visit V-Line for current timetables. For enthusiastic bike riders the Yarra Trail, the Capital City Trail, Moonee Ponds Creek Trail and the Maribyrnong Trail all converge at Docklands. The Hop On Hop Off Bus that tours the city can provide a hop off point at the Melbourne Docklands where you can wander the precinct and also ride the Melbourne Star Observation Wheel. When Is The Observation Wheel Open? At night the Melb' Star is transformed into a giant, magical wheel full of colour provided by a spectacular LED display. The display is synchronised to music adding to the viewing pleasure. 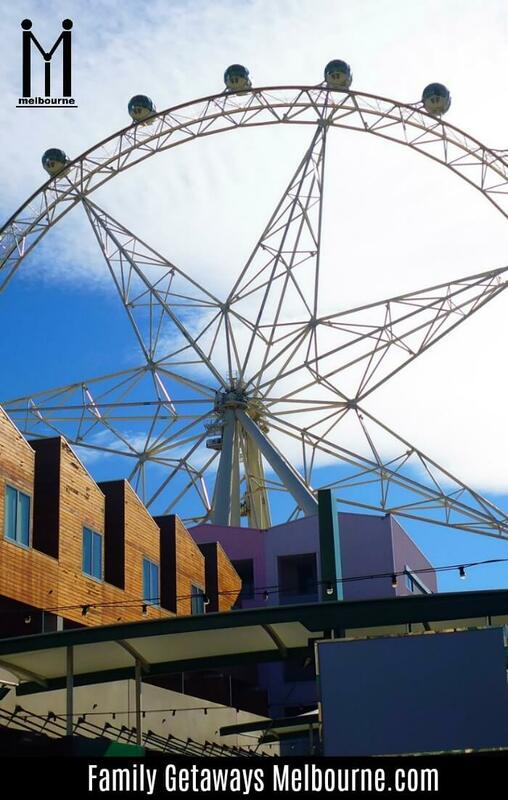 There are only four giant Observation Wheels in the world of which this is one and it is the only one in the Southern Hemisphere. The ride is wheelchair friendly or suitable for those with mobility restrictions. For those in wheelchairs or those who require extra time to step into the carriage the Wheel is able to pause briefly to allow the passenger/s to board. There is also a lift access up to the boarding deck and ramps are available making it easy to get in and out of the cabin. Guide dogs are welcomed on board the observation wheel at all times. It is advisable to contact the Melbourne Star for more explicit details if you are concerned. 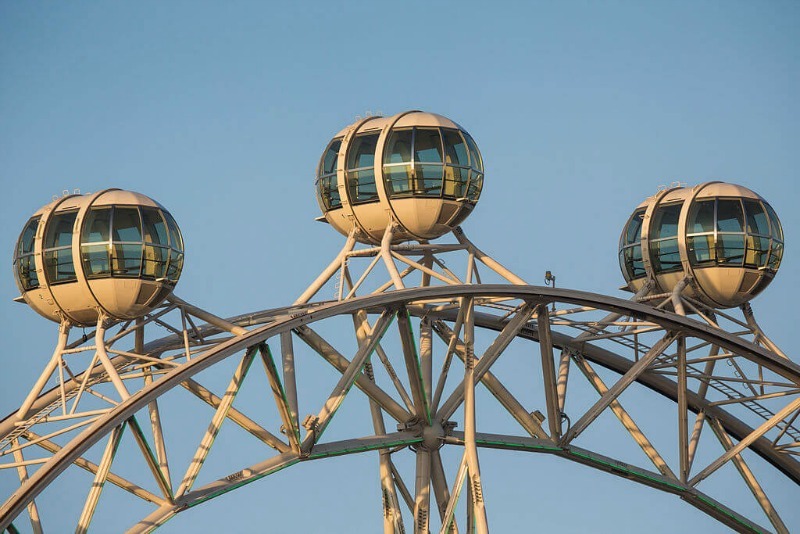 Take the worry out of booking your Observation Wheel ride and book online. Enjoy a scenic ride high above the city's streets. View the Yarra River, Port Phillip Bay, Melbourne's Docklands and other Melbourne Attractions. 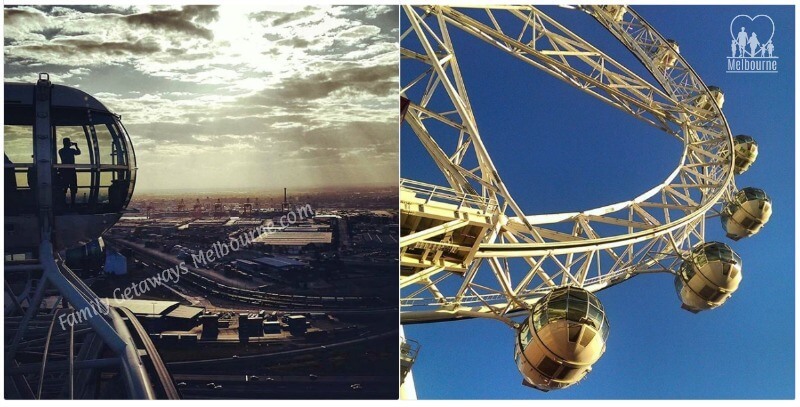 Ride the Melbourne Observation Wheel during the day and the night and capture some amazing and unique photos. Book an Encore Ticket that incorporates the 30 minute single daytime ride and a single 30 minute night time ride, the later to be used within 30 days of the first ride. 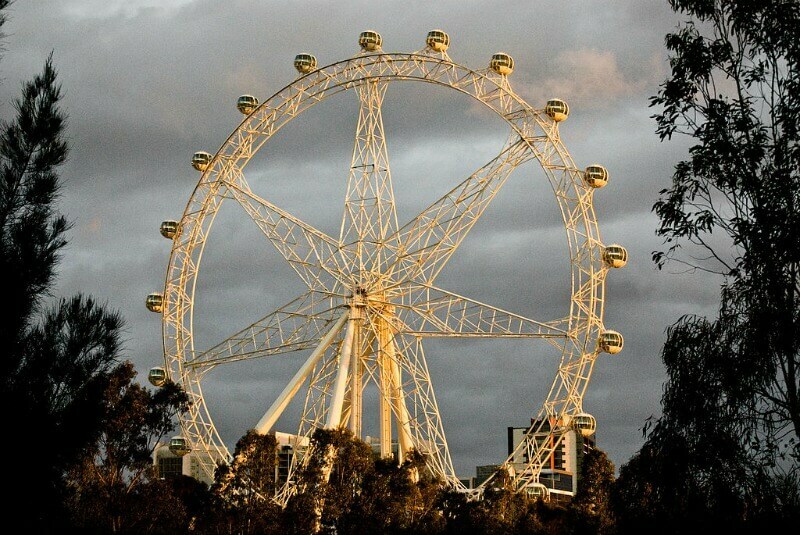 For a truly memorable time in Melbourne why not take advantage and book your own private cabin on the Melbourne Star. This includes your choice of High Tea or a fresh seafood and wine experience. No BYO food or alcoholic beverages can be taken on board. Non alcoholic drinks are permitted however these must be in sealed container. Whilst you are in the Dockland precinct take advantage of the shopping and other exciting things to do and see in the area.